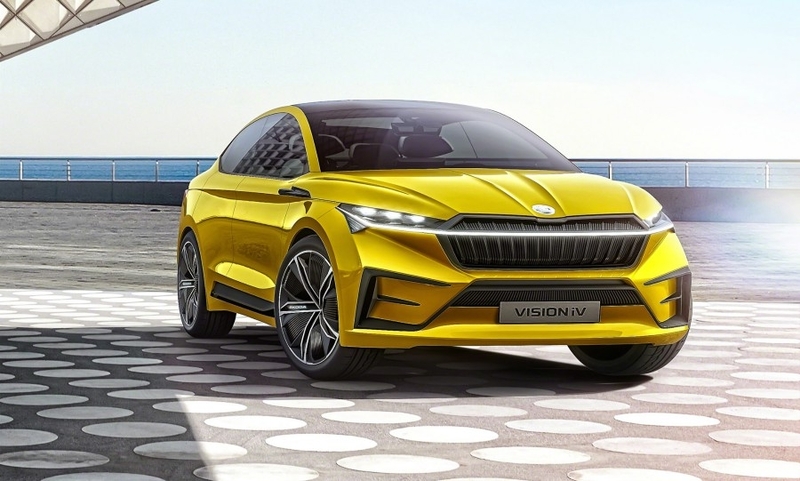 Skoda's first MEB-based EV will be a crossover coupe based on the Vision IV concept (pictured) presented at the Geneva auto show earlier this month. "That gives us a lot of flexibility. We can scale and adjust to some extent if customer demand changes," Maier said. A third, more affordable electric car will be built at Skoda's Kvasiny plant and will form part of a new "MEB entry family" of cars announced by the VW Group at its annual press conference earlier this month. The model is still in the planning stage, Maier told journalists. "We are looking for a lower specced car and once we have a positive business case we will come up with a clear solution," the CEO said. Cars in the MEB entry family will be smaller than VW's Golf compact car, while offering similar interior space. They will arrive about 2023, VW CEO Herbert Diess told Auto Express earlier this month. Skoda will launch a full-electric version of its Citigo minicar, based on the VW e-UP, later this year. The model will be built in VW's plant in Bratislava, Slovakia, and will have an electric range of 300 km (186 miles), Maier said. Skoda has said 25 percent of all its cars sold by 2025 will be electrified and the brand plans to launch more than 10 electrified cars by the end of 2022, including plug-in and mild-hybrid models. Its first plug-in hybrid will be a version of the Superb midsize and will go on sale later this year. By 2025 Skoda will sell five separate pure electric cars, the company has said. Maier said Skoda remains unsure of the demand for its electric models. "I don't know how the customers will reflect on our offer," he said. "If our reference was those customers who have driven our electric cars in focus groups, then we can easily achieve 25 percent, but it is quite obvious the demand will be different if you talk to customers living in urban areas than those living in rural areas." Customers in rural areas have concerns about charging and range, he said. 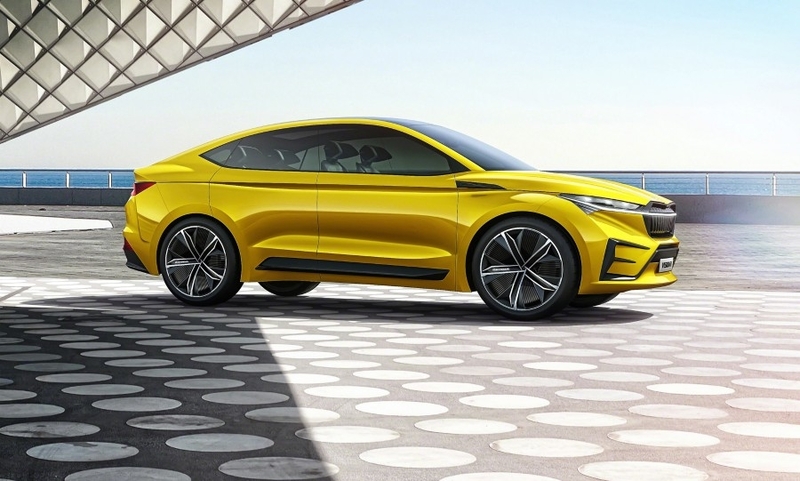 Volkswagen Group is turning its Zwickau, Germany, factory into a specialist plant for MEB models for the VW, Audi and Seat brands but Skoda has placed great importance on building its MEB-based electric cars in in its Czech Republic home. "Electromobility is being developed in the heart of Skoda in the Czech Republic. That ensures the future of jobs here," Maier said. The first MEB EV, based on the Vision IV concept, is likely to cost about the same as the brand's Kodiaq or Superb models, Skoda sales chief Alain Favey told Automotive News Europe. The average selling price of the Kodiaq SUV is around 40,000-45,000 euros. For the Superb it is about 40,000 euros. Favey said Skoda aims to offer a package that will entice customers to want to spend that amount. He said the car would also adhere to the same philosophy of "smart understatement" shown by other models in Skoda’s range. "It's an extremely modern way of thinking," he said. Maier said replacing today's internal combustion engine cars with electrified versions to meet the tough European targets on CO2 will drive up the price of all cars. "Individual mobility will be more expensive, there's no doubt about that," he said.